This was odd as the query in CF doesn’t actually contain reference to any dates. They are all handled internally inside the stored procedure. Lately, I’ve been working with a SQL Server database table that contains people. Each person has a system-generated ID as their primary identifier in the system, but we also hold a national identifier (something like a National Insurance or Social Security Number) in a second column. Today, I’ve been changing the application to allow the entry of new people without a national identifier as we need to cater for rare cases where it is not known or doesn’t exist. The national identifier column had a unique constraint and disallowed NULL values. Whenever I stay in a hotel, I always take my iPod Classic, loaded with movies and TV shows, and a video cable so that if I’m bored I don’t have to watch whatever rubbish happens to be on at the time. Most hotel TVs have at least a composite video input, so this generally works, but I recently encountered a Philips iTV that despite having a decent selection of inputs, had no way to select them on either the TV or the remote control. 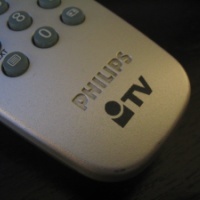 Philips iTV (short for “Institutional TV”, though their newer models have the altogether more welcoming “Hospitalty TV” label) televisions are made specifically for use in hotels, hospitals and the like, and have the ability to restrict the features available to guests, and provide pay per view services and so on. Here is an oddity spotted by my colleague David Boyer (MisterDai) the other day. Since Dave has been um, too busy to blog about it, and we worked through it together, I’m throwing up a quick post about our findings for posterity. 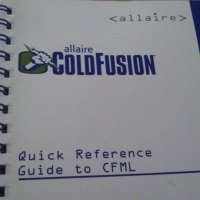 If you’ve been using Adobe ColdFusion for any length of time, you’re probably aware of the IsNumeric() function. It’s been around for ages (at least since I started using CF back with version 4.5) and does pretty much what you’d expect – if the value passed to it is numeric it returns true, otherwise it returns false. More recently (MX 7), IsValid() was introduced. This is a more general-purpose function for validating data. It takes an additional parameter, type, indicating which data type rule to apply to the supplied value. Specifying a type of numeric is, according to the CF9 documentation at least, equivalent to IsNumeric().